Situated on the world renowned Route 62 between Montagu and Barrydale, Western Cape, South Africa, and near to iconic Cape Town. The 58, 000 hectares of undulating mountains and plains, indigenous fauna and flora, rock formations and rock art make Sanbona Wildlife Reserve a destination not to be missed. 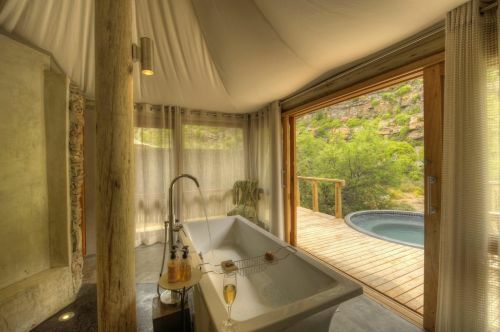 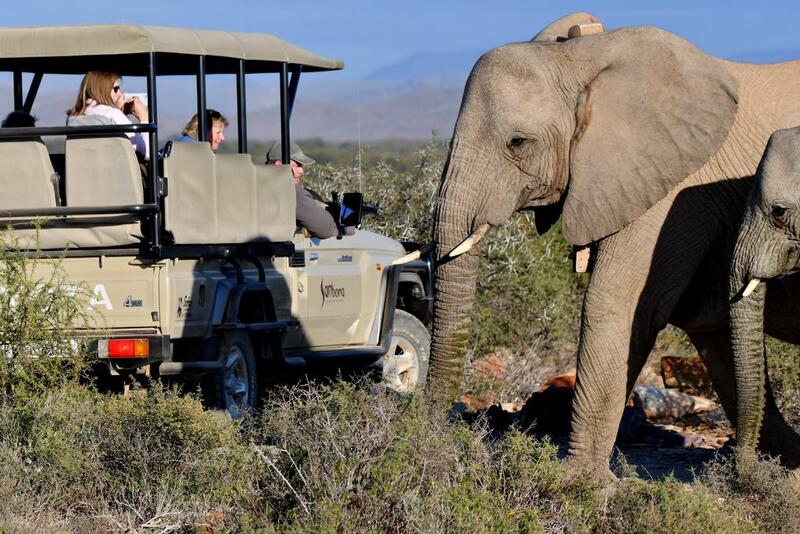 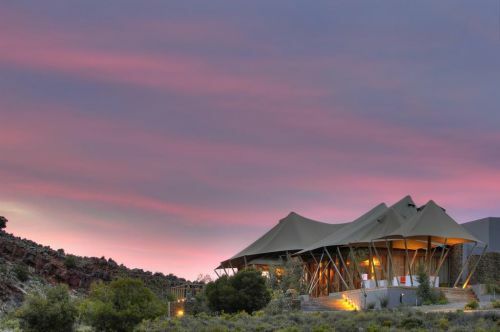 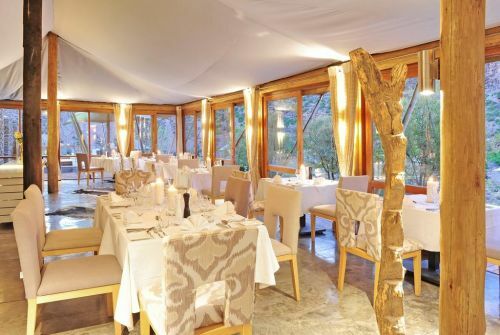 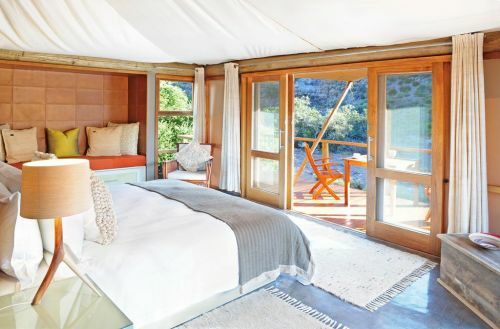 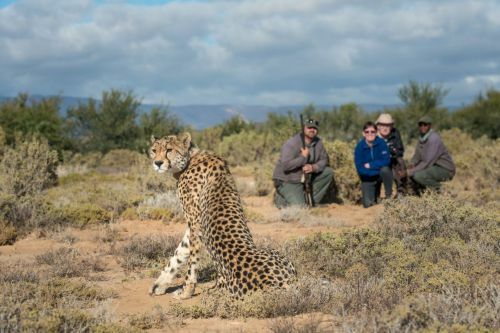 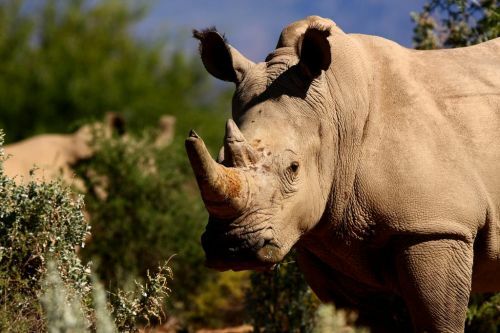 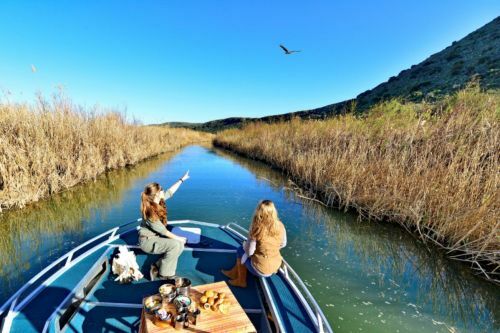 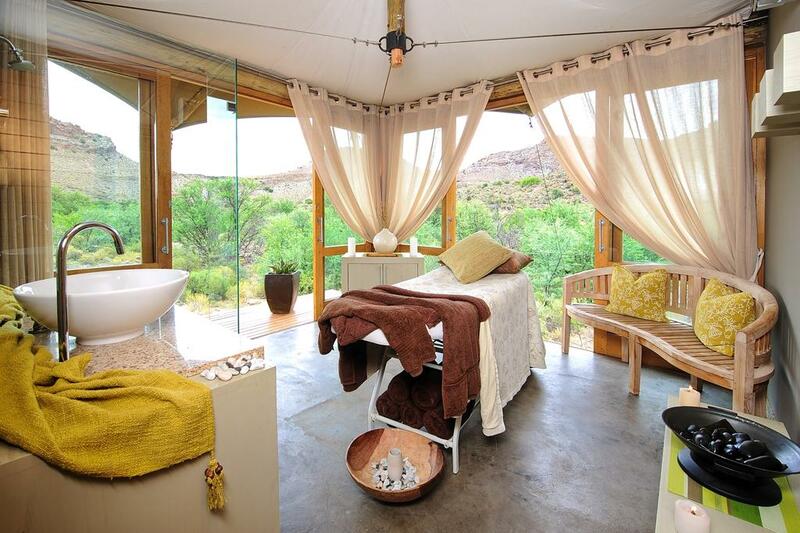 Sanbona, known as the Western Cape's premier wildlife destination, honours the spirit of the San people and invites you to explore a special wilderness sanctuary, offering five star accommodation at three luxurious lodges and a back to nature Explorer Camp adventure, surrounded by ancient volcanic mountains and endless vistas. 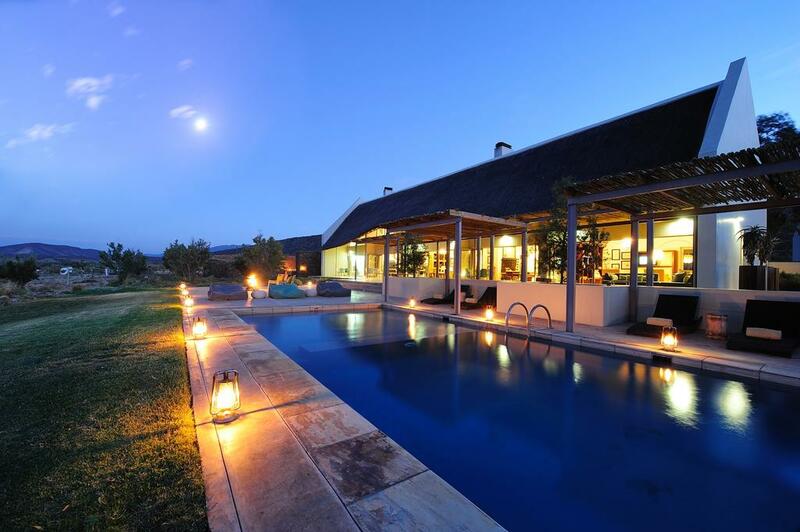 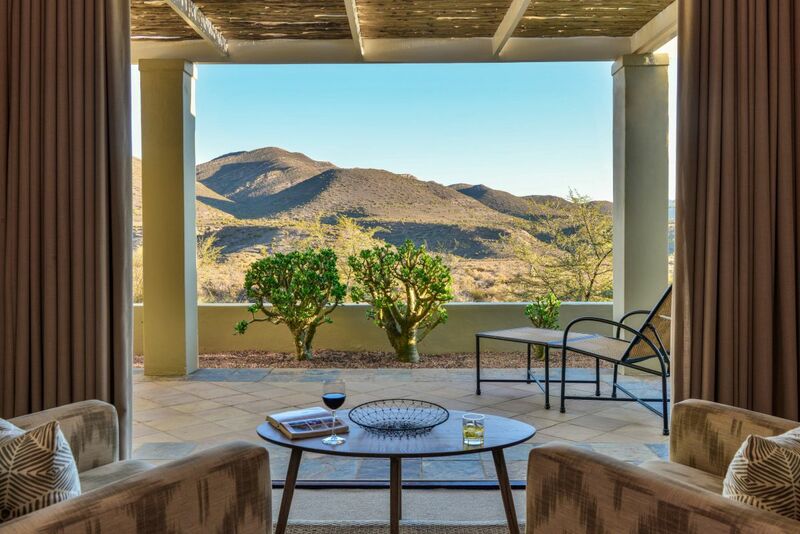 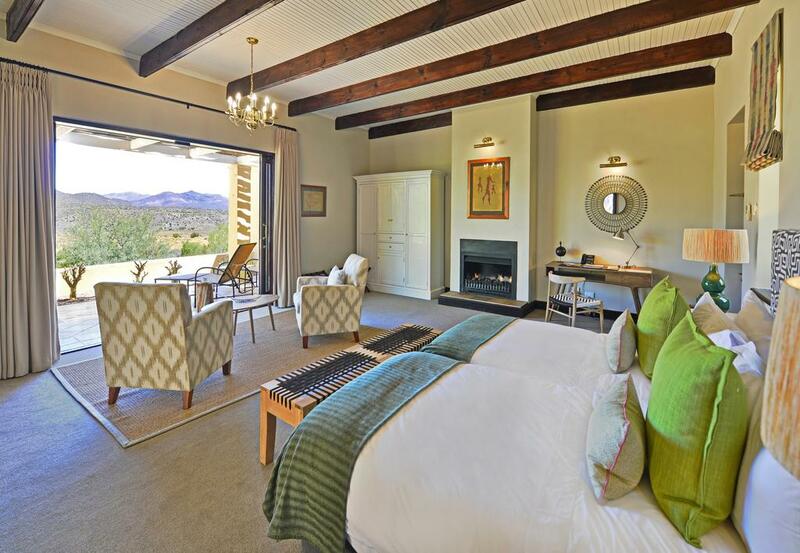 Tilney Manor consists of 3 separate units including 6 large open plan suites, each opening onto private verandas overlooking breathtaking views of undulating mountains and plains. This lush oasis setting of Tilney Manor is surrounded by carefully laid out indigenous gardens. 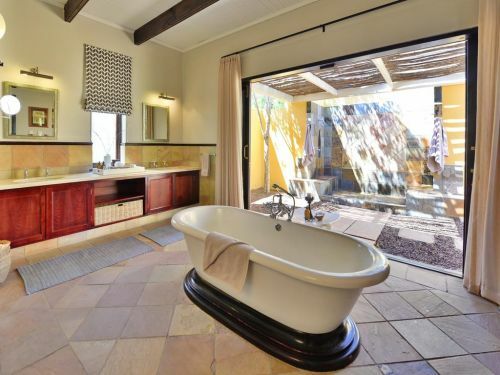 Overlooking Bellair Dam and resembling a typical thatched Karoo homestead, offering 12 generously proportioned luxury suites, each with endless views over the plains, Anysberg-mountains and beyond. 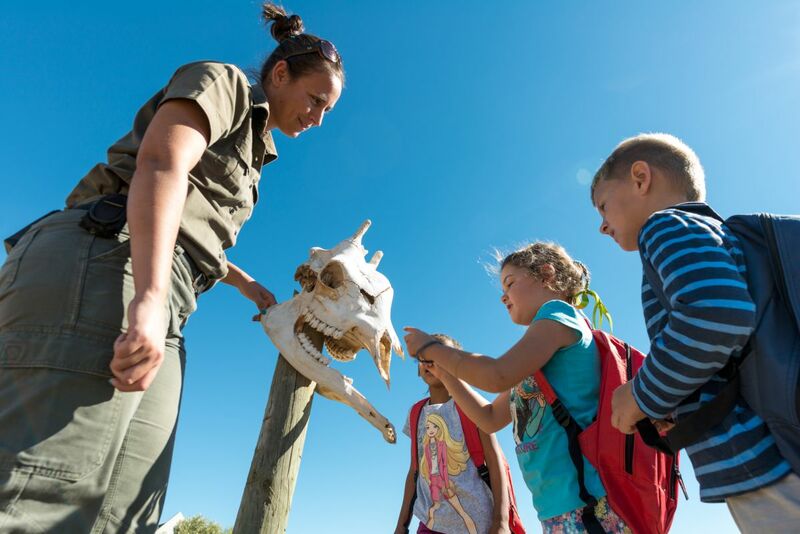 Children of all ages will be entertained with an exciting "Kids on Safari" program.